Andhra Pradesh Has Been Demanding Special Category Status Ever Since The Bifurcation Of Andhra Pradesh And Creation Of Telangana In 2014. The Central Government Has Cited The Recommendations Of The 14th Finance Commission And Denied The Special Category Status (SCs)” To Andhra Pradesh. Special Category Status (SCs) Is A Classification Given By The Centre To Assist Development Of States That Face Geographical And Socio-Economic Disadvantages. 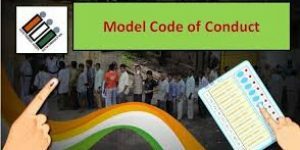 This Classification Was Done On The Recommendations Of The Fifth Finance Commission In 1969. The Parameters Of SCs Were-I Hilly Terrain;Ii) Low Population Density And/or Sizeable Share Of Tribal Population’iii) Strategic Location Along Borders With Neighboring Countries’)Economic And Infrastructure Backwardness; And V)Non-Viable Nature Of State Finances. SCs Was First Accorded In 1969 To Jammu And Kashmir, Assam And Nagaland. Until 2014-15 ,A Total Of 11 States (7 North-Eastern States, Sikkim, J&K, Uttarakhand And Himachal Pradesh) Received A Variety Of Benefits And Sops Under SCs. The Centre Pays 90% Of The Funds Required In A Centrally-Sponsored Scheme To Special Category Status States As Against 60 % Or 75% In Case Of Other States, While The Remaining Funds Are Provided By The State Governments. Unspent Money Does Not Lapse And Is Carried Forward. Significant Concessions Are Provided To These States In Excise And Customs Duties, Income Tax And Corporate Tax. The 14th Finance Commission Has Done Away With The Special Category Status For States Except For The Northeastern And Three Hill States. Instead It Suggested That The Resource Gap Of Each State Be Filled Through ‘Tax Devolution’, Urging The Centre To Increase The States ‘Share Of Tax Revenues From 32% To 42% ,Which Has Been Implemented Since 2015. 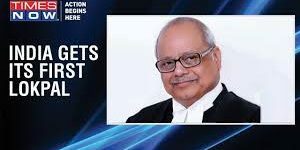 The 14th Finance Commission Recommended That The Centre Provide A Post-Devolution Revenue Deficit Grant To States, Which Applies To Andhra Pradesh Also. What Is The Tussle All About? 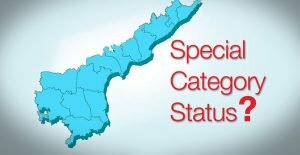 Andhra Pradesh Government Considers Special Category Status As Its Right And Cites The Promise Of Special Category Status Made By The Then Prime Minister At The Time Of Bifurcation In 2014. 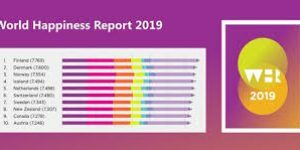 The Telangana Region Accounted For Close To 75 % Of The Undivided Andhra Pradesh’s Revenue ,Almost The Whole Of Its Coal Reserves And 45% Of Its Forested Area. Besides, A Major Portion Of The Catchment Areas Of Rivers Krishna And Godavari Lie In This Region. Moreover, Hyderabad Was The Economic Hub And Investment Destination Of The Undivided State And Accounted For 55% Of The State’s Revenues Which Has Gone To Telangana After Bifurcation. However, The Andhra Pradesh Reorganization Act, 2014 Doesn’t Mention Special Category’, But Mentions That The Centre Would Help Andhra Pradesh Bridge Any Resource Gap. Accordingly, The Current Government Offered To Provide A Special Package Of” Monetary Equivalent “Instead Of Special Status Owing To Recommendations Of The 14th Finance Commission. Andhra Pradesh Is Demanding That Special Assistance Funding Should Be In The 90:10 Ratio (Centre: State) For Both Externally Aided Projects (EAPs) And Centrally Sponsored Schemes. Also, It Wants That The Centre Allow It To Use The Money To Clear Outstanding Loans. It Would Be Better On The Part Of States Not To Mix Emotional And Sentimental Issues With The Constitutional Directives. Moreover, Giving Special Preferences To One State May Lead To Similar Demands From Other States As Well. At The Same Time The Union Government Needs To Ensure That Every Federal Unit Of The Country Is Provided A Level Playing Field In Letter And Spirit Of Cooperative And Competitive Federalism.